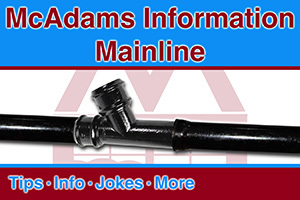 Had a leaking issue and called McAdam’s within twenty minutes they were at the front door, diagnosing the problem. Chris was extremely knowledgable and thourough in his inspection. He fixed the problem quickly and was great to work with. Would absolutely do business with them again! Great company and reasonable and fair prices! One year warranty on the work he did as well! 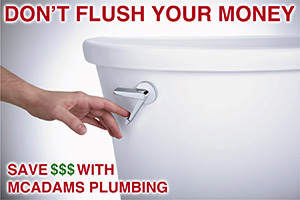 Thank you Chris and McAdam’s Plumbing! So glad Chris got you all taken care of Melissa! We’re excited to have you in the McAdams Family. Please let us know if there’s ever anything else we can do for you. We’ll be here.